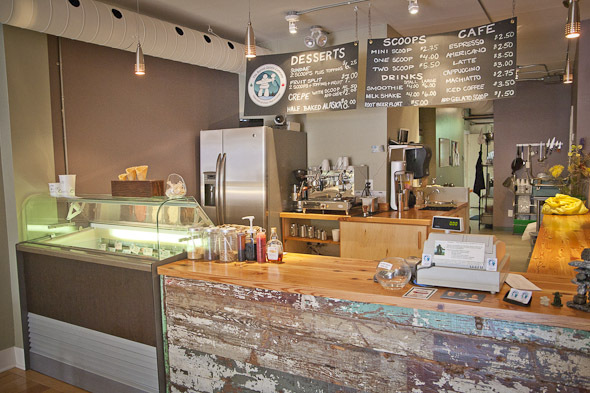 The Boreal Gelato Company is a Parkdale gelato shop and cafe that carries its eco-friendly mandate from construction to cone. The shop itself is a testament to owner Melanie Clancy's commitment to the environment. The seating is comprised of salvaged church pews, the floors are made of reclaimed wood, and much of the furniture has been repurposed using finds from her grandmother's home. And then there's the packaging. It's all biodegradable - from the cups to the spoons and the napkins - and the edible packaging (read: the cones) comes from local, rather than international producers. 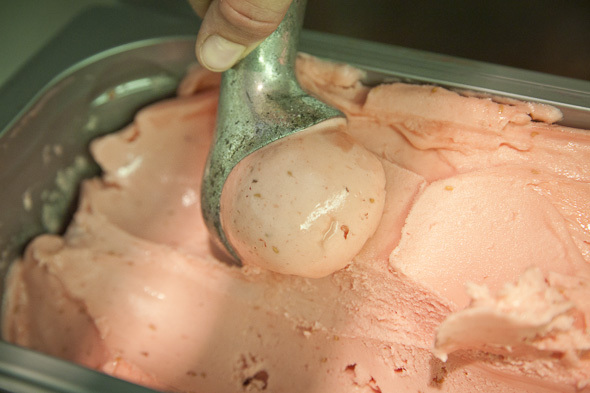 Next, there's the gelato. 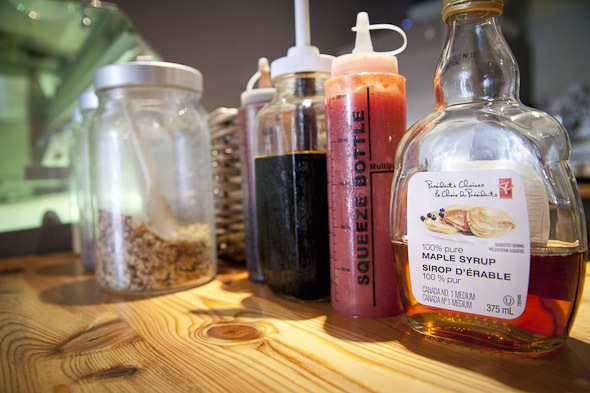 It's all made in-house using natural ingredients that are local and seasonal when possible. "Of course, we can't find local pineapple," Melanie says gesturing towards the cooler with its Pineapple Sorbet. "But we're making Raspberry Sorbet now that raspberries are in season, and a few weeks ago it was strawberries." Melanie, who has a background in food, ice cream, and event planning, says she wanted to open a gelato shop where you know (and can pronounce) everything that has gone into your scoop. 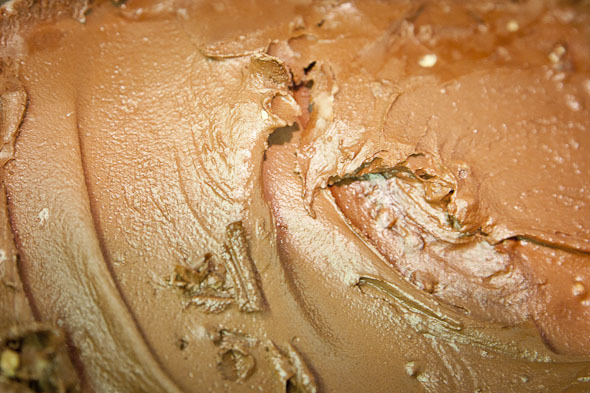 "Gelato is often healthier than ice cream," she says. "Plus, there's a bit of an artisan quality to it." There are 10 flavours when I stop by including Banana Chocolate, Pistachio, and vegan Lemon Olive Oil. I select a cup ($4.00) of Pineapple Sorbet, which is really rich in flavour and quite sweet with little bits of pineapple throughout. It's quite creamy for being dairy-free, but the scoop seems a bit small to merit a $4.00 price tag, leaving me to wonder what the kiddie ($2.75) would look like. 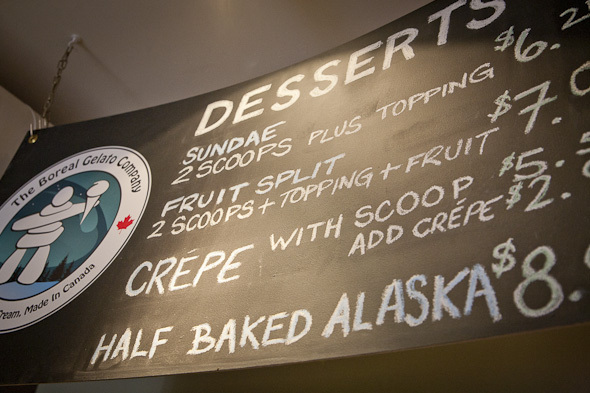 Of course, it's not just gelato at The Boreal Gelato Company. 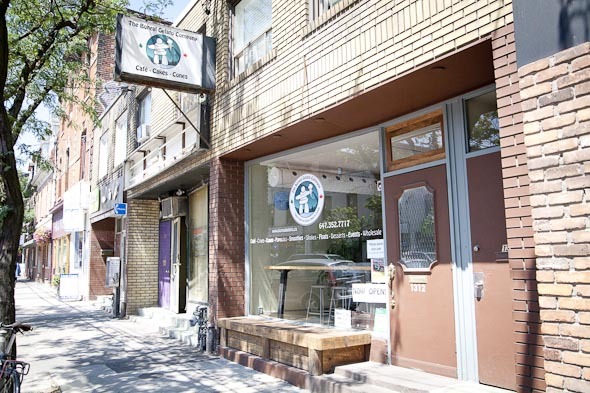 The shop is part cafĂŠ, offering fair trade, organic Americano ($2.50), latte ($3.50) and more using beans roasted at the Merchants of Green . You can also get smoothies ($4.00) milkshakes ($4.00) and other desserts. 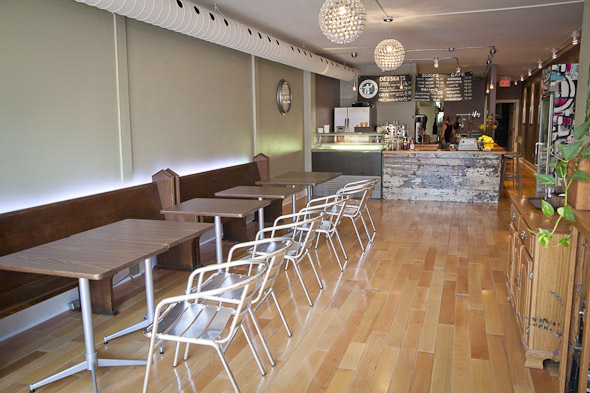 Boreal also offers free WiFi, lots of space to kick back and relax, and tasty, rich gelato made of ingredients you'll actually recognize.